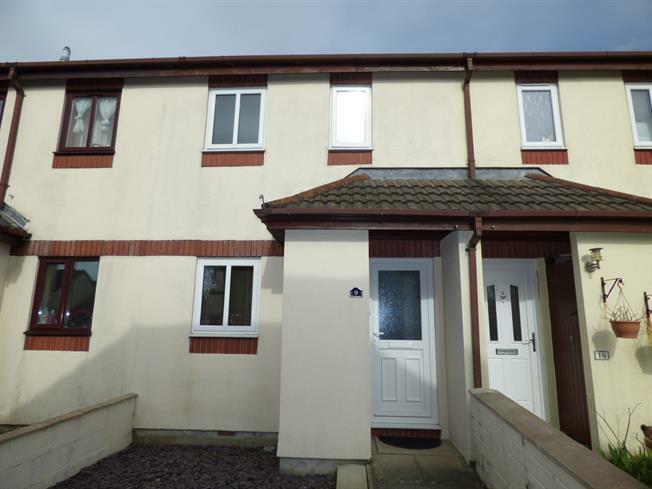 2 Bedroom Terraced House For Sale in Plymouth for Offers in excess of £130,000. This modern two bedroom home is a first time buyers dream. Situated in a cul de sac location within easy reach of Crownhill village and its array of local facilities and amenities this property has to be viewed to be fully appreciated. The improved and contemporary accommodation benefits from modern electric heating and uPVC double glazing and includes a superb fitted kitchen with appliances, spacious living room diner, two bedrooms and a modern refitted bathroom. Outside the house boasts easily maintained gardens at the front and rear and two allocated parking spaces. UPVC double glazed door. Electric heater, laminate flooring, built-in storage cupboard, ceiling light. Double glazed uPVC window facing the front. Laminate flooring, ceiling light. Roll top work surfaces, modern fitted wall and base units, one and a half bowl sink, integrated electric oven, integrated electric hob, stainless steel extractor, integrated fridge and space for washing machine. UPVC French double glazed doors opening onto the garden. Double glazed uPVC window facing the rear overlooking the garden. Electric heater, carpeted flooring, ceiling light. Stairs rising to the first floor. Built-in airing cupboard with hot water tank. Double bedroom. Double glazed uPVC window facing the rear overlooking the garden. Electric heater, carpeted flooring, a built-in wardrobe and fitted wardrobes, ceiling light. Single bedroom. Double glazed uPVC window facing the front. Electric heater, carpeted flooring, ceiling light. Double glazed uPVC window facing the front. Laminate flooring, tiled walls, ceiling light. A refitted white suite including a low level WC, panelled bath with electric shower and fitted screen, pedestal sink. At the front is a low maintenance slate chipped garden and bin store. At the rear is an enclosed garden with paved patio and raised decked seating area. Two allocated parking spaces.